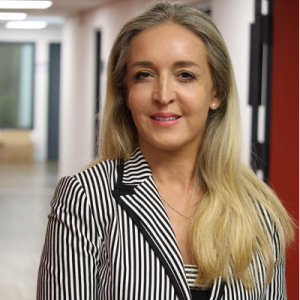 Marie-Cécile Cervellon, Ph.D, is Professor of Marketing at EDHEC Business School with a teaching expertise in brand management and luxury marketing (ref. her edublog LYTE @luxury-talents-education.com). Currently, her areas of research encompass two domains (on stream of research, managerial and interdisciplinary). Her research focusses on brand management on social media and influencer marketing. A second stream of research, more conceptual, aims at understanding current trends of consumption such as e-tail, second-hand, local, and ethical consumption. Her research is mostly conducted in hedonic industries (luxury; perfume & cosmetics; fine food; wine & spirits). It is published in major international journals, such as MIT Sloan Management Review, Journal of Business Research, or International Journal of Research in Marketing. She has been quoted in Newsweek, The Financial Times, and New York Times among other press outlets. Marie-Cécile holds a PhD from McGill University, Montreal, Canada. Net-à-Porter « The place to be » pour les marques de luxes ?